Sisyrinchium idahoense is a herbaceous species of plant in the family Iridaceae, with a self-supporting growth habit. It is a photoautotroph. Sisyrinchium idahoense var. segetum (E. P. Bicknell) Douglass M. Hend. 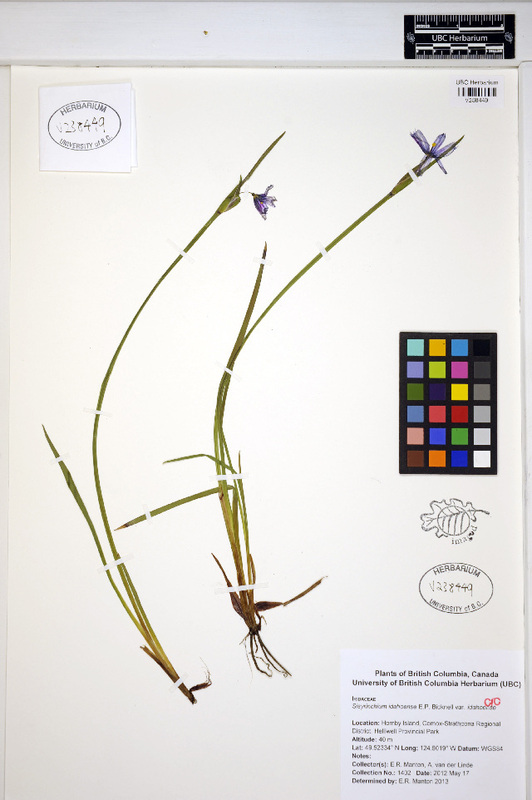 Sisyrinchium idahoense var. macounii (E. P. Bicknell) Douglass M. Hend.